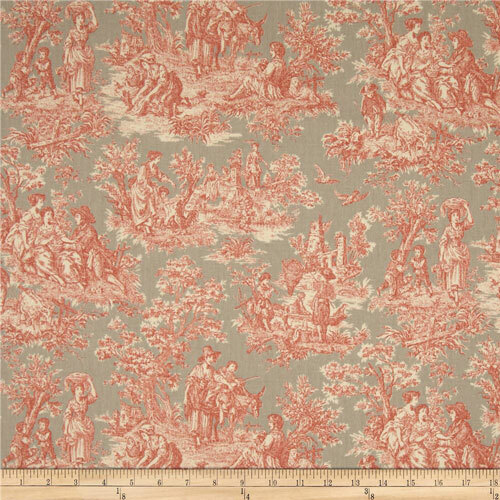 Waverly Charmed Life Clay toile fabric. Dark coral and ivory toile print on a silver gray background. Suitable for drapery, decorative pillow covers, headboards, crafting or light upholstery.